Having pets, kids and carpets under the same roof is a possibility with STAINMASTER PetProtect. 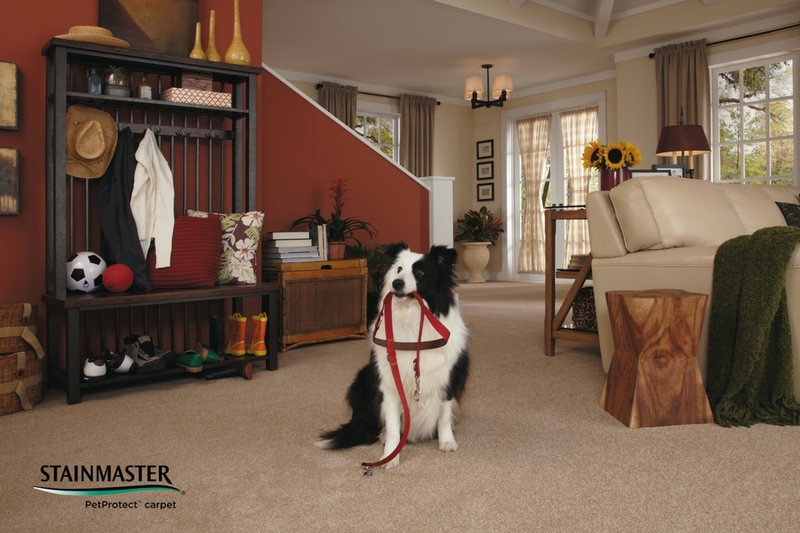 Available at American Carpet One, this carpet is created with a built-in stain protection technology that makes it possible to fight the most difficult pet stains while enjoying the best of what carpets have to offer. This pet-friendly carpet is color safe and fade resistant, so when those messy accidents happen, you will be able to clean them without a problem. STAINMASTER PetProtect carpet features a cushion system that is their secret weapon. Besides providing a comfortable underfoot experience, this cushion is designed to fight any pet accidents and bad odors. The carpet cushion features a proprietary breathable moisture barrier that will keep pet accidents from soaking into the cushion and even the subfloor. This system not only makes cleanup as easy as a breeze, but it will also help prevent stains from reappearing on the carpet. This amazing carpet cushion also acts as a barrier, reducing noise level significantly. Do you feel this is the carpet you are looking for your home? Visit our store today located at 302 Sand Island Access Road, Honolulu, HI 96819 or contact us HERE for a FREE ESTIMATE.